A master of making history come alive through songs and stories, songwriter and storyteller Elisa Korenne has created her fourth story-and-song concert about the parts of our past that are too fascinating for the history books. Madams, Matrons, and Madwomen celebrates some of the most interesting women from American history through Elisa’s award-winning original songs and stories. The concert features extraordinary women including Victoria Woodhull, the 19th century proponent of free love and the first woman to run for president, Maria Blaisedell, the Minnesota Blizzard who became infamous in Washington, the Hormel Girls musical group, and many others. You won’t want to miss this rare opportunity to attend a new performance from a performer whose audiences always want more. Madams, Matrons, and Madwomen: Extraordinary Women in American History celebrates some of America’s most intriguing women. 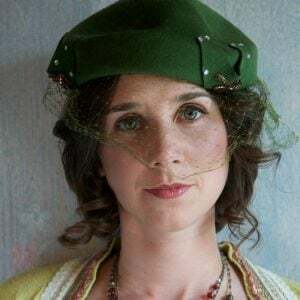 A master of making history come alive, award-winning songwriter and storyteller Elisa Korenne creates entertaining events out of people and events from our past that are too fascinating for the history books. Prairie Public Broadcasting of Fargo, ND loved Elisa’s historical material so much that they commissioned her to collaborate on ten musical videos about Minnesota and North Dakota people and events. Madams, Matrons, and Madwomen includes some of the songs commissioned by Prairie Public—“Mail Order Bride” about Rachel Calof, and “Sister Lumberjack”—as well as songs and stories about local and national women. Other women featured include: Victoria Woodhull, the 19th century proponent of free love and the first woman to run for president; Maria Blaisdell, Otter Tail County’s Minnesota Blizzard who became infamous in Washington; the Hormel Girls musical group; Native American vaudeville star Princess Spotted Elk; Hawaii’s Queen Ka’ahumanu and others.